Acme's sensitivity to the environment	insures that we will continue to provide a fully recyclable product from previously recycled materials. 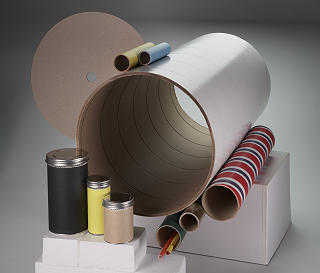 Acme Spirally Wound Paper Products, Inc. has one goal ... Total Customer Satisfaction. Acme's experience as a third generation family-owned business allows us to maintain a strong foundation as a forward thinking industry leader. For over 50 years, the Kobak family has owned and operated Acme Spiral. With a proud history and a strong future, we continually maintain a leadership position in our industry by providing an environmentally friendly, quality product and top-notch customer service at competitive prices. All items are custom made to your specifications at no additional charge. There is no minimum order and samples are available upon request. Acme's "customer first" attitude guarantees a quality product at excellent pricies. Acme's commitment to "giving back" allows for regular donations to selected charities on behalf of our employees and customers. Acme Spiral is equipped to handle the requirements and paperwork of customers whose products must be quality certified. We have extensive experience in meeting the needs of multiple certification classifications including ISO 9000, ISO 9001, ISO 9004 and ASQ 9001. Acme has received its share of recognition over the years. We have been honored several times by Inside Business Magazine's Manny Awards for excellence in manufacturing, flair for innovation, safety, and customer service. Our customers have also chosen to recognize us for on-time delivery and quality products as well as acknowledgement from former Cleveland Mayor Michael White for our investment and commitment to the community.